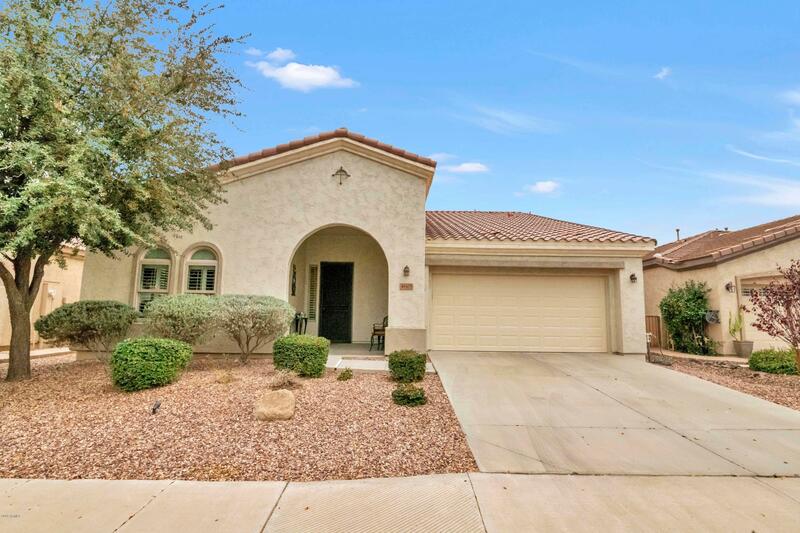 All TRILOGY UNIT 9 PHASE B homes currently listed for sale in Gilbert as of 04/19/2019 are shown below. You can change the search criteria at any time by pressing the 'Change Search' button below. "IMMACULATE AGAVE model located in the spectacular Active Adult Community of Trilogy w/all the luxuries of a resort. This BEAUTIFUL HOME is perfect for entertaining featuring SPLIT FLOOR PLAN w/great rm, open to formal dining rm plus den/office. GOURMET KITCHEN includes ENORMOUS island/bkft bar w/GORGEOUS ENGINEERED STONE ctops, pendant lighting & HUGE walk-in pantry. Spacious mstr suite, mstr bath w/dual vanities, tile shower, & LARGE walk-in-closet. Guest bedrm/bath are great for visitors. This"